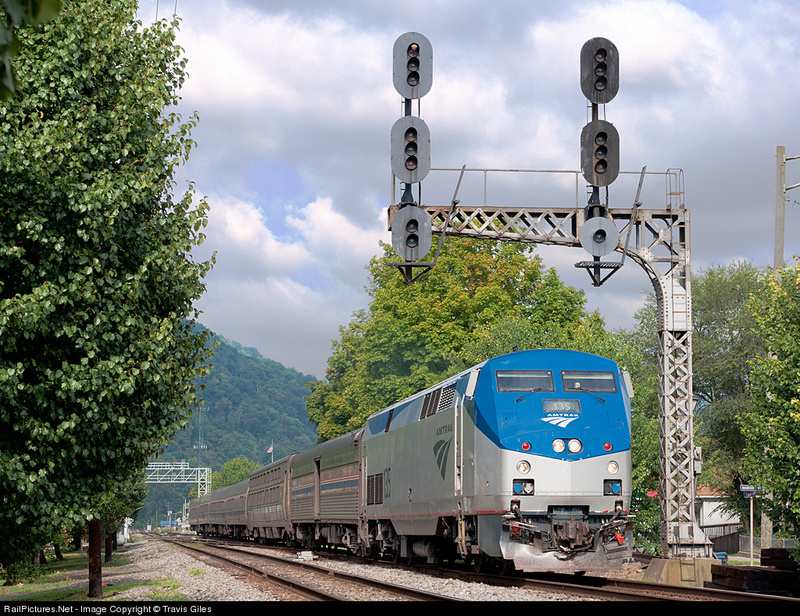 With CSX running roughshod on the old C&O multi track mainline west of Charleston and Huntington for years the eastern bulwark was the interlocking at Montgomery, WV with the eastbound mast signals equipped with Darth Vader types and the westbound cantilever of glorious C&O design. Well just caught a pic of a new cantilever in place at west end of the interlocking. If this is just a one off replacement or a sign of things to come over the New River Sub remains to be seen. Looks like I might not be able to afford to wait a year for the dome to get back on the Cardinal in 2012. 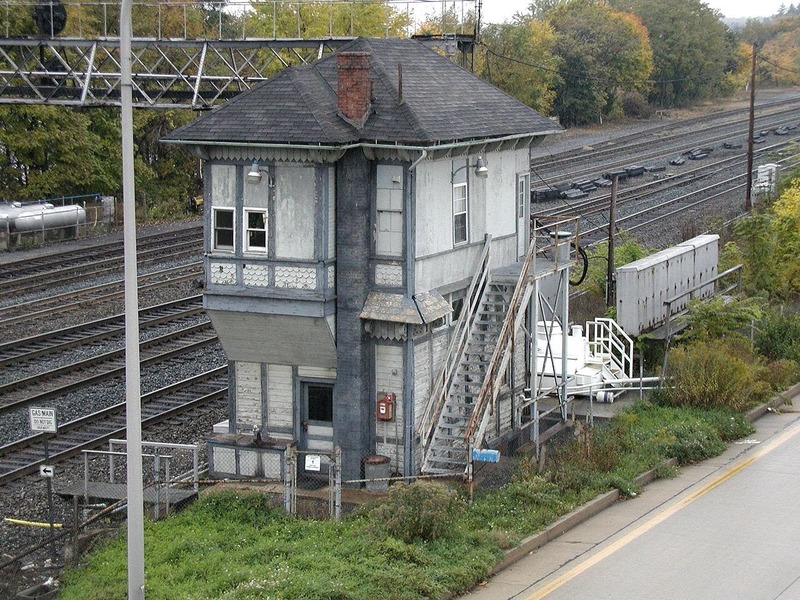 The great 5-track New York Central signal gantry just west of Toledo at NASBY tower (currently known as CP-292 since the tower closed in 1998) is the latest victim of Norfolk Southerns pointless re-signaling plans. Just 13 years ago that same gantry and its beefy steel lattice construction was perfectly fine when Conrail decided to leave it in place, but this time NS feels its better to spend the money to erect a completely new Darth Vader gantry than just re-wire the color light signals already in place. Of course this isn't the first signal replacement at NASBY, the eastbound signals were replaced in the conrail era by a tubular cantilever, but the NJC G-head signals were re-mounted as there was nothing to be gained replacing one tri light with another. This time around I wouldn't be surprised if NS doesn't resignal that end as well, even going as far to replace the modern style cantilever mast. NASBY tower used to feature the diamond crossing of the Toledo Terminal RR and the Chicago Line. The tower closed in 1998 when the TT had no more use for its trackage and abandoned the diamond crossing. A brief history of the tower and of the more recent CP-292 can be found here. A more detailed PDF presentation of the tower, its operations and closure complete with inside photos can be found here. Like other NY Central towers it was a GRS plant controlled by a Model 2 wood paneled pistol grip machine. Seeing as how my 2009 PRR Main Line Survey has reached the Golden City of the PRR I thought it appropriate to reach back into my archives and post some photos on the famous PRR interlocking tower that still routes trains around the large yard and shop complex 24/7 as it has for the past 100 years. I am talking about ALTO tower, but unfortunately I had not been intending that this post serve as a memorial to an icon tower which now faces closure later this fall. While efforts are being made to preserve the tower, even if it does somehow manage not to fall down or catch fire , this living tribute to the PRR will be at best mounted and stuffed, the tracks it oversaw sterilized of character and rendered completely generic. About 5 years ago I took a little trip there when Amtrak still ran two train services on the main line and it was possible to get out and back in the same day. This trip turned out to be very special because I was able to not only take pictures of ALTO tower on the outside, but also inside ALTO tower and after a sufficient waiting period I am free to put them up for public consumption. ALTO tower was rebuilt to its current configuration in 1915 (and possibly existed in some form for many years prior to that) in the typical PRR style of all-wooden main line towers with the trademark bay windows. Over the years CTC control of the entire Altoona terminal area was transfered to ALTO and in the 1970's the interlocking was somewhat rebuilt by the Penn Central. Because of the CTC ALTO survived as an active interlocking tower far longer than almost all its brethren and currently controls ANTIS, HOMER, ROSE, WORKS and SLOPE interlockings. So here is ALTO tower from the front. It had been last painted in Conrail colors in the 1980's and at this point is looking somewhat shabby. In 2009 NS came by and provided a nice re-paint job in an overall flat gray which gave the false impression that ALTO had a long life ahead of it. ALTO from the side showing the side bay extension that was added because of the need for a longer interlocking machine inside. 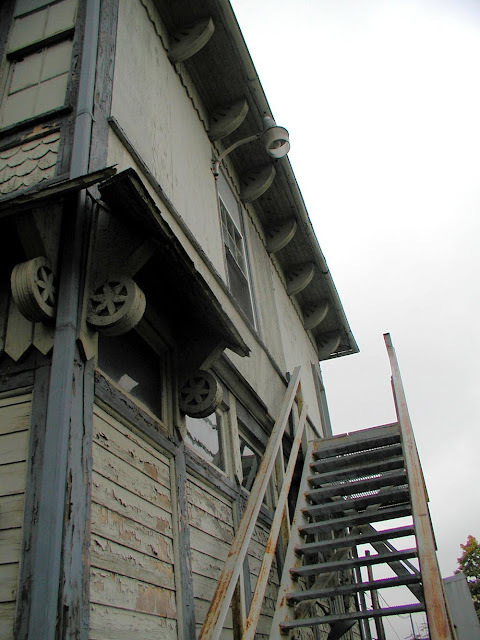 Access to the tower is across the tracks, not from the road behind. In the future the new ALTO interlocking will begin just west of the tower's current location and run to about where SLOPE currently sits. From this rear view you can see a newer steel external stairway, fuel tank for either the heater or emergency generator and the old style relay cabinets for the signal gantry. It's amazing some of the architectural details that went into these old towers. ALTO interlocking is made up from two logical parts. There is the main interlocking controlled from the original 27 lever US&S electro pneumatic interlocking machine, and a smaller extension controlled from a partially independent 11 lever machine next to it. 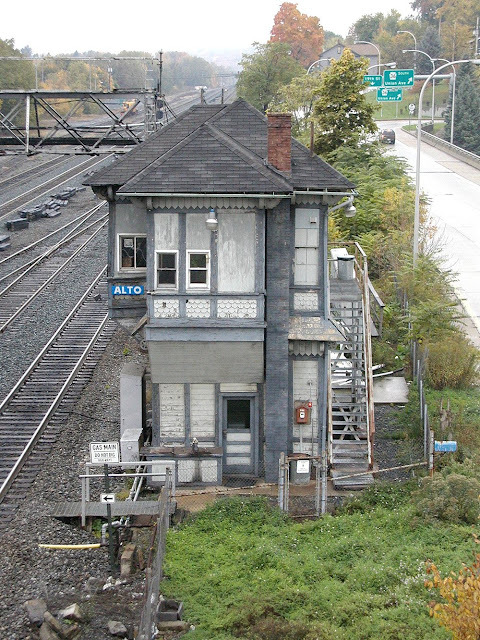 The PRR pedestal signals at the west end of the Altoona station platform are part of the extension, while the large signal bridge controls access into the interlocking proper. A complete track chart of ALTO can be found in this large (30MB) pdf of Conrail interlocking diagrams. ALTO is on page 23. Here is a historic photo showing the Penn Central era configuration with PRR PL mast signals at the east end of the interlocking. The 38L signal is displaying Slow Approach over the reverse 31 switch towards a Clear indication on the 2L. If this doesn't make sense, a 1985 head end video shows the track between the 32R and 2L being used as an additional helper pocket. Regular movements from Track 2 to 3 were made over the 1 switch with an Approach Medium displayed on the 38L and a Medium Clear on the 4L. 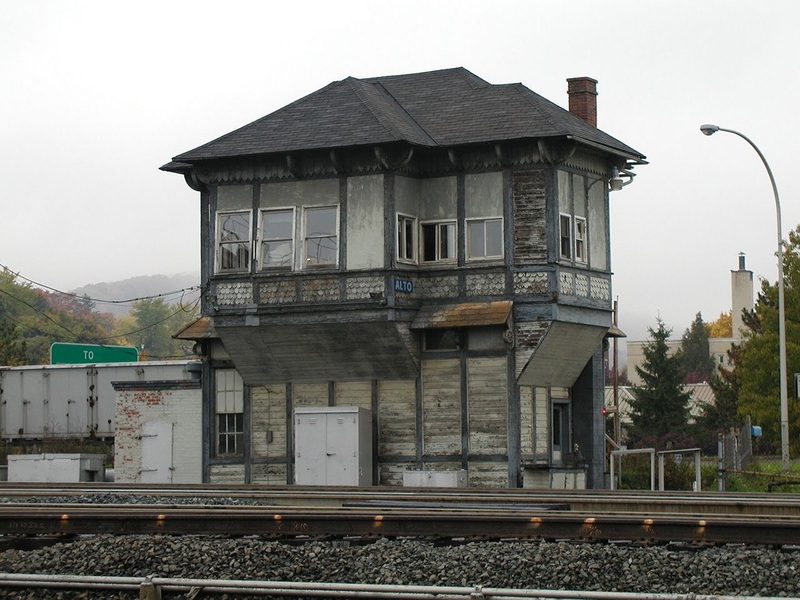 When the east end was reconfigured in the Conrail era, this pocket concept was eliminated. Apparently NS isn't just out to ruin the spiritual heart of the PRR, but has also decided to go after their Nickel Plate Road heritage as well. 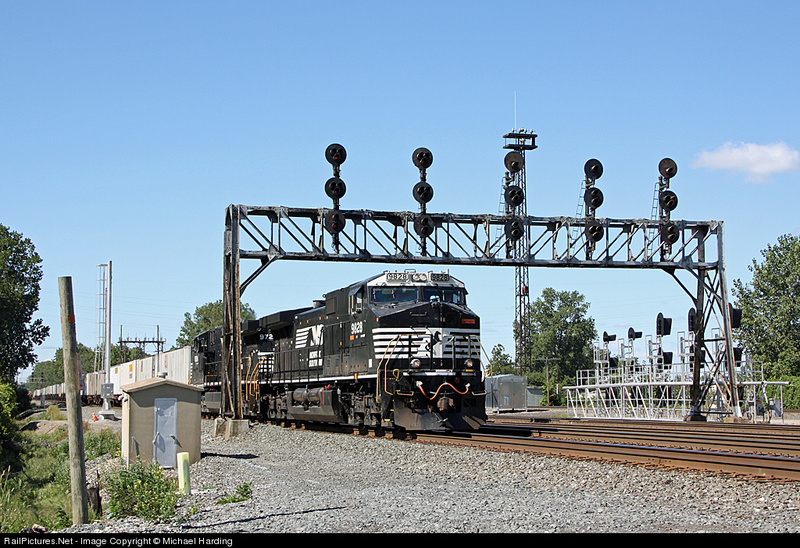 The major NKP freight classification hub and junction at Bellevue, OH is seeing further further resignaling efforts that will see the fall of many of the classic NKP signals including the bracket mast at the Slaughterhouse Road hotspot south of the city. Ok, I get it that position lights and interlocking towers cost more and one can save money by eliminating them, but why is NS replacing traffic light signals with more traffic light signals? Did they get a special discount on a bulk order down at the costco? 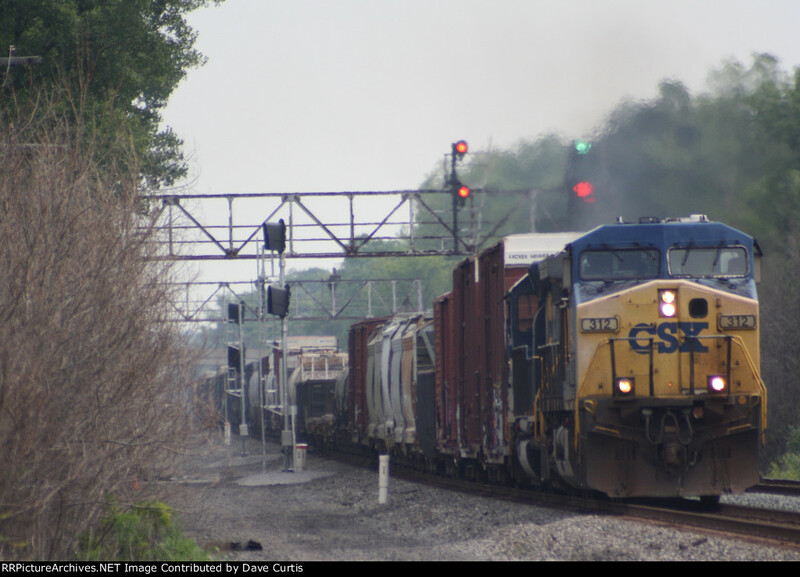 While the former New York Central Main Line has been an absolute sanctuary for signaling compared with the other eastern routes, it cannot be completely immune from CSX's wrath. Currently up on the chopping block is CP-308 near Jordan, NY, just east of Syracuse. This was small target searchlight country last re-signaled by Conrail in the 1980s and like the PRR main there are a great many classic signal bridges still standing in service. The New York Central was a great believer in CTC and the presence of Rule 261 operation and no pole lines has made this route a real survivor. 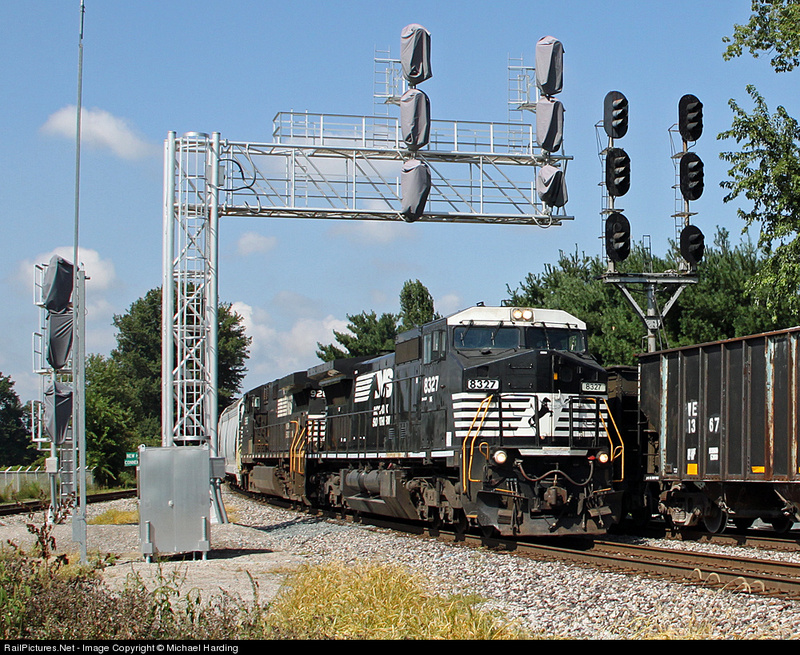 In fact CSX has even replaced searchlights with like at CP-293 and CP-175 on new masts and cantilevers. This time the Darth Vaders are going in for a pair of NYC gantries so if you are in the era hike out and document the old equipment while you can.